The turnout in the consultative pay ballot is an enormous tribute to the hard work of activists and many FTOs. It shows what can be done. That said, whilst it is in principle the result is a mandate for action, we must not forget that PCS achieved less than the 50% turnout that it would need to secure a lawful ballot result (as defined by the Tories regressive anti-union legislation). This despite the fact that easier methods of voting (including electronic voting) were used that would not be permissible under current legislation in an industrial action ballot. From what we understand electronic voting was crucial to the turn out figure. 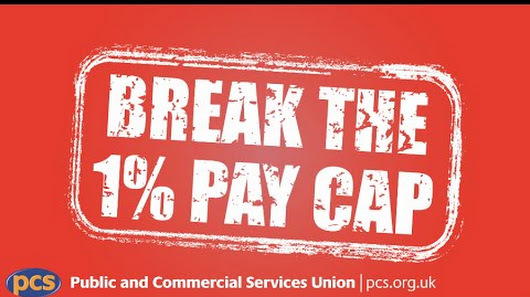 In contrast, in the first nationwide strike ballot since the anti-union Trade Union Act 2016 came into full force in March this year, the Communication Workers’ Union (CWU) has successfully balloted 110,000 Royal Mail workers for strike action over pensions, pay and other issues , achieving a 74% turnout with 89% backing action. We believe that the PCS leadership needs to learn from the CWU ballot and from their own many past failures to build sufficient membership support. It has plentiful data from the consultative ballot to determine which areas delivered the vote and which did not. Therefore it should know where we are weak. Carefully prepare the industrial action pay ballot (the PCS leadership’s habit of calling ballots with little notice, with all the attendant difficulties that brings, will simply not suffice). Maintain, indeed strengthen the pay campaign, even over the ‘Christimas period’ so that the momentum that has been developed is not dissipated and need not therefore to be rebuilt. This will avoid the old but diehard PCS leadership habit of simply going quiet for long periods so that members begin to lose a sense of a live campaign – recognise that the membership is not a tap to be turned on and off at will. Identify and target areas where inexperienced or unconfident or too few representatives means that the union’s campaign messages will not reach members clearly enough in the absence of external full time and lay activist presence. Provide plentiful, varied and creative campaign material (which was none of those things in the recent consultative ballot) and to do so in good time every time, well before, as well as during the legal ballot. Ensure that the PCS website becomes a proper tool for communicating with members and that an expertly prepared social media campaign is put in place and starts before the ballot begins. Ensure that membership meetings take place and that members’ voices are heard before ballot notice is issued as well as afterwards. Target at least the lower paying areas with details of how significantly they lag behind in pay terms – and therefore in pension expectations and severance entitlements – the higher paying areas even though they are in the same grade (the leadership has throughout its many years in office carefully avoided educating members as to the wild and arbitrary differences in pay between members in different “bargaining units”). Advocate clear demands that would, if implemented, make a real difference to the lives of members (drivel along the lines of “They won’t talk so we must walk” – as if members would strike just to get whatever the PCS leadership calls “talks” – should never again be put forward by the PCS leadership). Develop with activists and members a meaningful and convincing independent PCS industrial action strategy. Be clear to members and employer that action will not stayed for the mere offer of talks. Work and campaign with, and strike alongside, other unions where ever and whenever possible but not in such a manner that the interests of PCS members and the success of our campaign becomes dependent on the leaderships of other unions, so that our campaign can be collapsed by them at any time (the disastrous lesson of the PCS leadership’s conduct of the last pensions dispute alongside other unions). Ensure that all negotiations with the employer are reported in a timely and meaningful manner to members (increasing accountability, involvement and understanding – the many time tried, tested and always failed secrecy with which the NEC and senior officer would be leftists surround union-employer talks must be buried with this dispute). Boost its Fighting Fund urgently and massively (the decade+ long resistance of the leadership to the establishment of a fighting fund, and then the half-hearted establishment of the fund we now have, means that instead of the war chest long advocated by PCS Independent Left we have an inadequate sum of money at our disposal for a critical dispute). Ensure that rank and file activist committees are set up everywhere, meet at times that activists without large amounts of facility time can actually make, and develop accountability to the activists and branches, calling national meetings throughout the dispute. Work with activists, wider society campaign groups, other unions and the Labour Party to develop a meaningful, vigorous and challenging political campaign that takes advantage of the Government’s chronic weakness and places it under further pressure to move.